Komugi was just setting into her new school when she ended up getting wrapped up with four of the school’s most popular and good-looking guys. Chief among them is Yu, who takes Komugi by surprise when he smells her hair on the first day before revealing that he is actually a wolf. Komugi discovers that the rest of the boys have similar shape-shifting abilities, and she slowly finds herself getting to know the group to the jealously of the other girls at her school. After Yu saves her from jealous interlopers, Komugi accidentally blurts out to Yu that she loves him. However, Yu asks her to pretend it never happened, and now Komugi is faced with trying to hide her feelings for him as well as the boys’ secret. 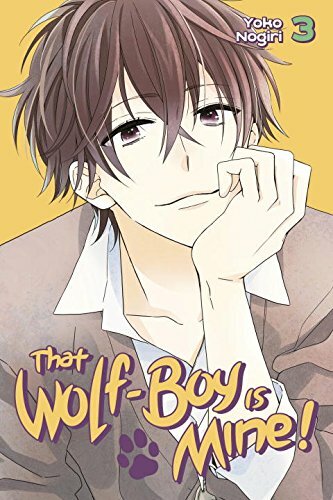 That Wolf Boy is Mine!’s first volume was primarily concerned with going through the motions of introducing the four ayakashi-boys and setting up Komugi’s attraction to Yu, and these next two volumes do a competent and fairly enjoyable job in building upon this romance. This ends up playing out primarily in Komugi’s head as she goes back and forth in her feelings towards Yu as they get to know each other. 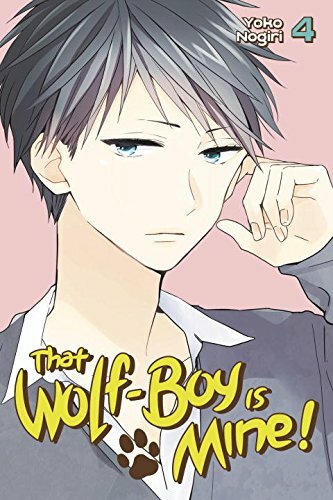 There’s a bit of everything here: multiple people telling her to give up on Yu, hints of a dark past, and the usual gooey-shojo moments of romantic development, but perhaps what defined this story for me was the way that Komugi and Yu both seem to pendulum back and forth between either pursuing their little romance or holding their feelings in. It’s all nicely understated, but I thought that this stretch ended up taking it a little bit too far to the extent that it wasn’t clear to me why these two actually like each outside of “ he/she’s a good person” as well as the inevitability of the plot. On a surface-level, this worked just fine and there are definitely some heartracing moments between the two, but it really felt like there was some substance missing in terms of establishing the emotions of these two characters in an affective way. Helping to add some depth to the storyline are supernatural aspects of the beast-boys, and this ends up factoring into the development of the main romance quite heavily. 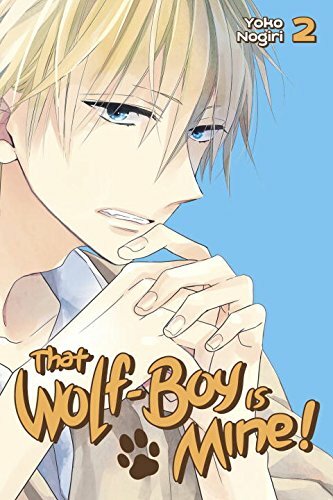 The main focus falls up Yu as his backstory is explored as Komugi speaks with the other boys, and this added some intrigue to the story that was simply told but emotionally effective. We see a few flashbacks of Yu’s past that help to ground some of his own emotional state, but I felt that story leaned into this a little bit too hard in terms of justifying the both Yu and Komugi’s respective indecision. It felt like the disconnect between humans and animals explored was set up to serve more as a self-evident reason for the two not getting together rather than spurring their emotional process. The chain of reasoning here makes sense, but it all feels a little bit ho-hum as opposed to really selling the emotions of these characters in a meaningful way. The surrounding cast also play into the development of Yu and Komugi’s romance to mixed effect. The most notable of the other beast-boys is Rin, who initially acts coldly to Komugi before becoming an alternative love-interest of sorts at some point during her waffling about. This was odd – his feelings for Komugi seemed to suddenly reverse without a whole lot of reason showed for it, and it was felt like there was a missing transition between him going from coldly trying to turn Komugi away from the boys to suddenly positioning himself as a romantic interest. Although I can infer why his character is motivated to act the way it is, it felt like Rin was positioned to play out an archetype as opposed to being written as a character with depth to his actions. Again – there wasn’t anything flagrantly wrong about this, but it did come off as fairly shallow. The rest of the cast take a relatively minor role compared to Komugi, Yu, and Rin. The other two beast-boys largely remain in the background, with only Aoi making sporadic appearances for comedic effect as well as to explain bits of Yu’s backstory at times. On one hand, I might have liked to have seen more of them to add some interesting wrinkles to the story, but on the other hand, the plot more or less hummed along without them. The four boys’ “sensei” is also introduced in this volume in a sort of villainous role, but I didn’t find him to be particularly interesting because of the way he seemed to show up just for the purposes of telling Komugi off. Hopefully we’ll get some more backstory on him in the final volume to place some of that in stronger context along with the rest of the boys’ backstory. My comments from my review of the first volume of this series pertaining to the art remain largely applicable to these volumes. The art is pleasingly clean, and there are a number of dramatic moments that are well-emphasized through the use of shadowing to really emphasize the action in the panel. The expressions of the characters were also improved – there were a few in the previous volume, particularly Komugi’s, came off as wooden in an awkward sense, but I found that these occasions did not pop up nearly as often as the story proceeded. Overall, it’s a strong artistic effort that propels this series into being one of the better-looking shojo-series currently out there. That Wolf Boy is Mine! tells a fine story, but after these two volumes it is becoming apparent that there is something missing to really take this series to a higher level. The characters all have feelings that by-and-large make sense, but this happens in a fairly shallow sense that doesn’t create a depth taking them outside of playing very specific (and trope-driven) roles they are placed in as the plot progresses. I would have liked to have seen the emotions of these given more depth, and this is perhaps done most strongly in the exploration of Yu’s backstory. Although the art is a strong aspect of this series, I couldn’t help but feel but wish that the enjoyably-drawn dramatic moments had a little bit more substance in the characters to back them up. That Wolf Boy is Mine! Vol. 2 & 3 were published by Kodansha Comics USA on November 1st, 2016, and January 10th, 2017. Authored by Yoko Nagiri, the series ran for 4 volumes in Kodansha’s Aria magazine. 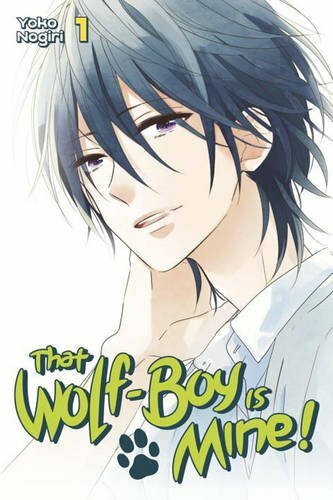 More That Wolf Boy is Mine!